Lucina has two particularly powerful special moves that make her a tough opponent to defeat: her side special, Dancing Blade, and her down special, Counter. The former consists of four separate hits – and luckily, the Lucina amiibo is excellent at linking them all together. She uses this move a lot, to the point where her enemies often won’t be able to defend in time. 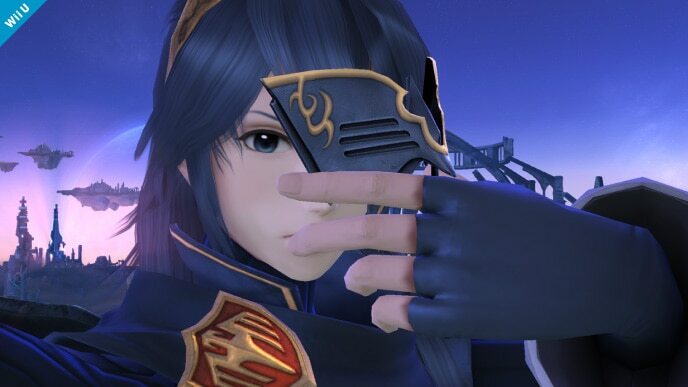 Lucina’s Counter move is especially effective when used against incoming smash attacks – with proper timing, it can even turn the tide of battle in her favor. While Lucina is indeed a formidable foe, a few of her tendencies can become problematic if certain precautions are not taken. 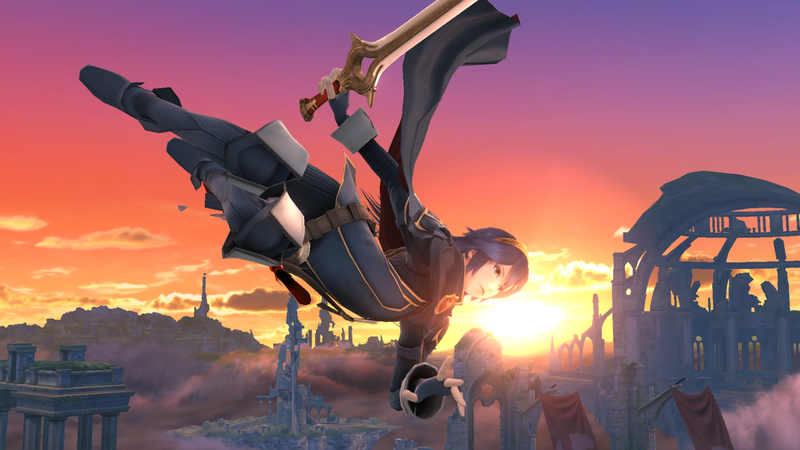 Lucina may overuse both her forward and down aerials, which in turn leads to her getting punished. She may also become too reliant on her Counter and could be left vulnerable if used too often. Lucina’s recovery is also quite poor – her up special grants her decent vertical momentum, but very little horizontal movement. Although she does have a few mildly annoying tendencies, Lucina is a powerful fighter who can rip unprepared opponents to shred. Using her Dancing Blade and Counter moves appropriately is key – with proper training, Lucina is more than capable of changing the future. Figuratively speaking. Iai Counter: This is a custom move version of Lucina’s down special. Iai Counter hits much harder and is also faster. Furthermore, it sends opponents flying backwards. In exchange, its Counter window is more difficult to activate. This isn’t as problematic as you may think – amiibo can react to oncoming attacks faster than any human. 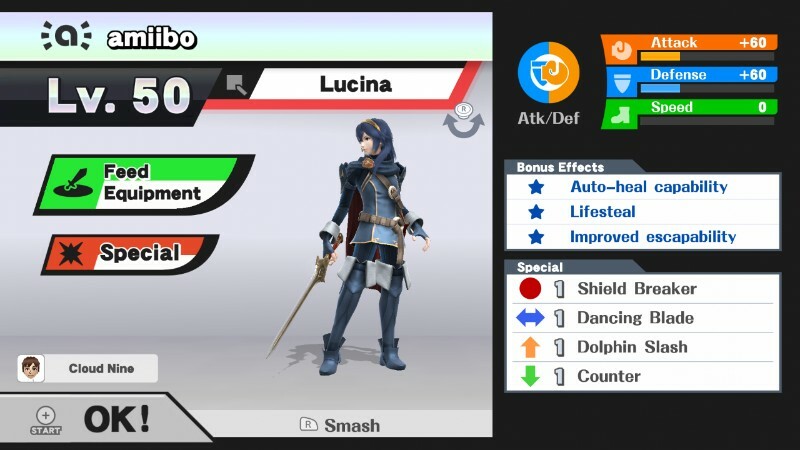 Even with its reduced activation window, your Lucina amiibo will still be able to use Iai Counter effectively. Neutral options: Dancing Blade. Lucina’s jabs and tilts are all good – but they’re completely outclassed by her side special. A well-trained Lucina amiibo will rely primarily on Dancing Blade. Its speed and power is unrivaled, and whether or not Lucina can successfully link Dancing Blade attacks together is often the deciding factor of a match. Make sure to strike with all four hits as often as you can. If you can’t figure out the timing, try slow mode. If you still can’t figure out the timing, don’t worry about it, just use the move to the best of your ability. Main KO moves: forward smash and down special. Lucina’s forward smash is one of her fastest and most powerful attacks. When your amiibo is at high percentages, start attacking with forward smash. Iai Counter is another excellent KO option, but it may be difficult for you to nail its timing. Again, if you can’t properly time the attack, try slow mode. If you’re not playing on the Wii U version of the game, you can just pause the game repeatedly to see what your amiibo is going to do. Moves to avoid: neutral special. 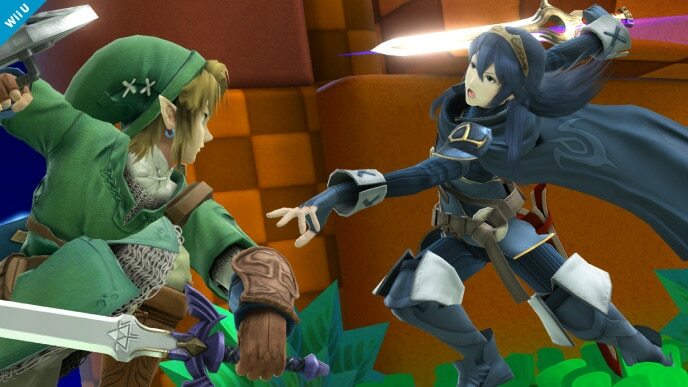 If used too often against her, your Lucina amiibo will use aerial Shield Breaker attacks at inappropriate times. It’s best to avoid this move altogether. Thanks to Supernova for compiling Lucina’s information. Images are courtesy of SmashWiki and the official Super Smash Bros. website.